Looking for an easy way to boost your nitric oxide that is both cheap and measurable? Just eat nitrates! (Always talk to your physician if you are on any medications or have a medical condition.) Nitrates are in abundance in arugula lettuce, spinach, iceberg lettuce, celery, carrots and beets. In my opinion, this is an incredibly powerful option, especially when combined with citrulline. 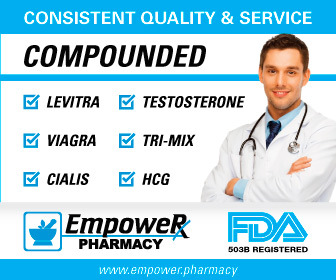 (It should also work very well in those of you that are on a low dosage of any of the PDE5 inhibitors such as Cialis or Viagra.) Furthermore, I argue that this is part of what every guy over about 35 should consider, because his native nitric oxide levels are likely so decreased as I describe in my link on Nitric Oxide Replacement Therapy. 11:34 a.m. Tested myself with the Berkeley Nitric Oxide Test Strips and found that I was sitting a little below the 2nd most depleted level - "Low" per the instructions. I have to admit that, while I didn't have E.D., my erectile strength was not where it should be and I was taking my 2.5 mg of Cialis daily. 4 p.m. to 6 p.m. Ate lots of arugula lettuce and carrots. Took 1 gram of citrulline. 8:30 p.m. Retested with the test strips and had moved up one level to "Threshold", which is the 3rd (middle) of five possible levels. So this proved to me that consuming food sources of nitrates could make a difference and help me boost my nitric oxide levels. However, a question nagged the back of my mind: could I actually regain youthful nitric oxide levels? Sure, it is nice to experience any improvement, but I wanted to get my levels to where a I was, say, 20 years ago. 8 a.m. to 2 p.m. This lead to an experiment where I ate nearly a whole bag of arugula lettuce. Arugula is probably higher in nitrates than even beets and spinach and so I put it to the test. I also added in carrots, spinach and some celery in a steady stream of nitrate-containing foods throughout the day. 5 p.m. I re-tested with the test strips and - finally! - I was at "Target," the second highest level and I may have even been above it a bit. Why did I keep going higher even though I did not really eat more nitrates? I believe that the answer may go back to this idea: the first nitrates that you eat just go to satisfying your body's basic needs. However, you need to go past the filling up point and even pass the saturation point to see results that last over a few hours. The next couple of days I tried the same pattern: eating at least a half bag of arugula and 3 grams of Citrulline spread throughout the day, plus an abundance of carrots, spinach and celery as well. And each time that I tested myself, I found that I was at Target. Furthermore, morning erections were unusually strong. Another side benefit: I found my libido increased significantly and feelings came back from many years ago. My theory is that as your nitric oxide (and/or testosterone) decline, general brain function declines and you lose the ability to feel and experience life as you did in your youth. This took me a step back in time. No, I didn't feel 16, but I felt much better. Also, I occasionally have prehypertension due - I am pretty sure - to overwork, stress and lack of sleep depending on the day. (Two jobs, three kids, the gym and an attractive wife - these all take time!) The nitrates dropped by blood pressure below 120/80 - nice! UPDATE: My baseline nitric oxide levels are now at Threshold first thing in the morning! Berkeley test recommends testing your baseline nitric oxide levels first thing in the morning as the "acid test" of your nitric oxide status. And, when I have tested myself in the past, I have always registered Low or Depleted, so this is a big change for me. My libido is up; I am longer getting dry hands; morning erections are strong; and, most importantly, I woke up with 120/80 blood pressure. This is making a huge difference. CAUTION: Be careful in combining multiple erectile strategies: priapism is rare but can occur. If you have an erection that lasts over 2 hours, go immediately to an emergency room. See my post on The Causes of Priapism. ORGANIC: I recommend that you eat organic if at all possible. Most men feel indestructible, but some of what they spray on food is pretty nasty. Examples are in my link on Testosterone and Pesticides. Trader Joe's has very reasonably priced organic produce - better than any other store from what I have seen. MY NEXT GOAL: Of course, it's nice to feel better and have a little better bedroom prowess, but, practically speaking I hope to use this to further lower my Cialis dosage. I'd like to get down to just 1.0 gram per day and maybe even get off it entirely. 1. Purchase Test Strips and Home Blood Pressure Monitor. Personally, I think it is important to measure and see if your results match your expectations. There two kinds of test strips that I know of: Berkeley Nitric Oxide Test Strips Neogenis Nitric Oxide Test Strips. Be sure to get a blood pressure monitor that is a cuff that goes around your upper arm. I have heard that the wrist monitors are very inaccurate. 2. Measure Blood Pressure and Saliva Nitrite Levels. Take a read of this before you do any interventions. Of course, if your blood pressure is less than 120/80 and your salivary nitrite levels are high per the NO test strip, then you nitric oxide is probably not your issue and you'd best spend your time looking elsewhere. 5. Take Advantage of Synergies. If you are not where you want to be, make sure you are not using mouthwash - since it can kill too many of the nitrite-converting bacteria on your tongue - consider adding citrulline, pycnogenol, pomegranate juice or possibly a PDE5 Inhibitor. CAUTIONS? Are there are any additional cautions with this plan? Well, nitrates can combine with amine foods and create nitrosamines, which are potentially carcinogenic foods. However, I personally do not buy into this. Example: spinach has both high amines and nitrates and thus should cause cancer. However, there is no evidence for this at all - in fact, quite the opposite. However, you should do your own research and ask your doc his/her opinion.